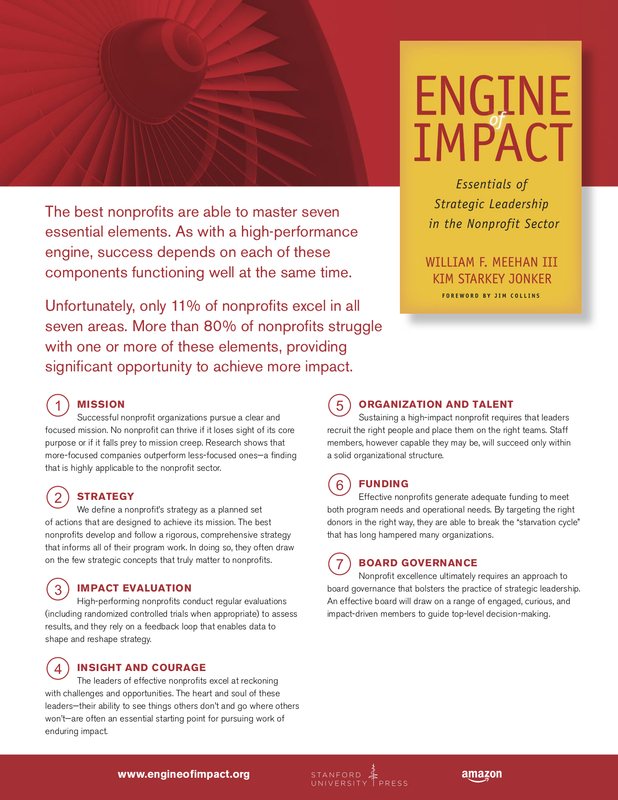 Many observers over the years have simply concluded that since so many nonprofits’ mission statements are vague or broad or nonspecific, filled with flowery inspirational language that doesn’t explain what the nonprofit does, they basically give the whole sector a pass and say that mission is not all that important. We don’t believe that. Nonprofits by definition are mission-focused and must start with a clear and focused mission. You can access the interview here, on the Knowledge@Wharton website.